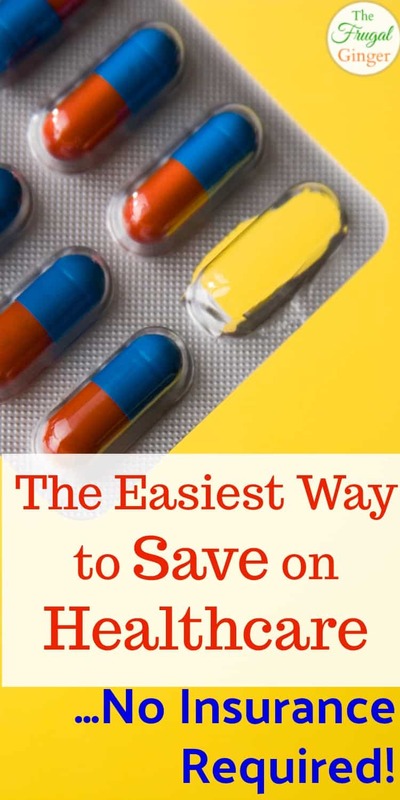 The Easiest Way to Save on Healthcare: No Insurance Required! You are here: Home / Money Saving Tips / Being a Smart Consumer / The Easiest Way to Save on Healthcare: No Insurance Required! We all know how crazy the cost of healthcare has gotten here in the United States. A lot of people can’t afford a basic doctor’s visit. There has to be an easier way to save on healthcare so that you can get the basic treatment that you and your family needs. I have partnered with SingleCare to bring you this sponsored post. I love saving money and healthcare is no exception. My family has insurance, which helps, but my husband’s employer doesn’t offer vision insurance. This may cause a problem down the road when it comes time for a basic eye exam. I know that I am not alone in this situation. Maybe your employer or insurance provider doesn’t offer vision or dental coverage so you are paying out of pocket for those services, or not even going at all. I was a Pre-med major in college and a Chemist for 5 years so I know how important it is to get proper dental and vision care. 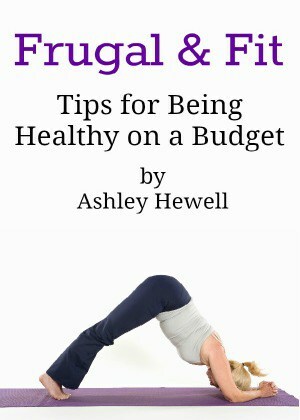 It impacts so much of your overall health but a lot of people just can’t afford it. I have heard about savings cards and thought that may be a good option but most only covered prescription costs. That’s great, but I need to reduce more healthcare costs than just on medication. I then heard about SingleCare. Yes, they can offer savings up to 80% off of your prescription medications but also up to 55% on dental and 75% on vision care! They partner with over 200,000 qualified providers nationwide as well as over 35,000 pharmacies so you can easily find one that accepts SingleCare. Did I mention that it is FREE for all Americans to sign up for a card?! You simply sign up for a card online and you can search for providers in your area. It is really simple to do. I did a search for a dental adult exam and cleaning. This would normally cost around $200 at the dentist I go to. When I did the search on SingleCare, they showed me 5 different dentists in my area and the estimated cost which was $128 for most of them. That’s a pretty significant discount! 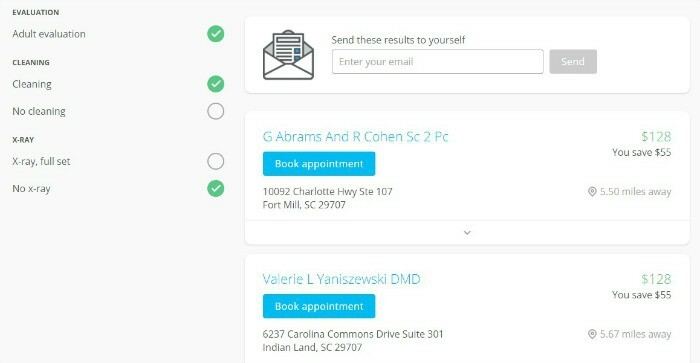 If I wanted to see that particular dentist, I can easily book an appointment straight from the site. I recommend doing a bit of research and reading some reviews of the providers before making a decision on which one to go to, don’t just base it all on the cheapest one (just my opinion). When you go to your appointment, just show them your SingleCare savings card and you will get the discount. I did the same search for an eye exam which is about $172 on average, and found a few doctors where I could get one for only $62 with the SingleCare discount! 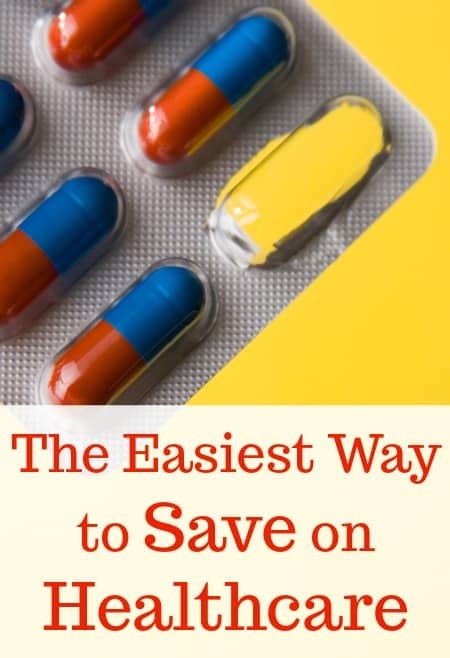 You can also do a search for prescription medication and they will show you the cost at different pharmacies so you can compare and get the best price. There was a considerable difference on my prescriptions. At one pharmacy it was $9.54 while at another it was $19.11! I know where I need to get my prescriptions filled from now on. It is good to get an estimate on prescriptions even if you do have insurance. You may be able to get a cheaper price with SingleCare than you would with your copay. It is worth checking out! What Can I Get Discounts On? 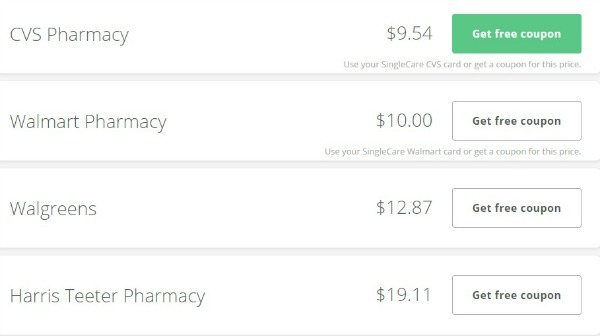 The great thing about using a SingleCare savings card is that you can get discounts on dental, vision, prescriptions, and virtual doctor visits. Having video doctor visits with a board certified physician costs just $45 per visit which is a lot cheaper than going to Urgent Care. This is a great option if you aren’t feeling well and just need someone to diagnose and prescribe something to help you feel better. I hate having to get dressed and drive to the doctor’s office with a very active 4 year old in tow. This is great for busy moms! Some commonly treated conditions are: pink eye, fever, allergies, migraines, sore throat, sinus infection, etc. You can even see an online nutritionist, Master’s-level behavioral health professional, or psychologist for different fees. I highly recommend signing up for a SingleCare savings card and getting an estimate for your basic healthcare needs. It is so important to take care of ourselves. By giving these discounts to help save on healthcare, they make it so much more affordable for those without the proper insurance and those with high deductibles to get the care they need. It is completely free for all Americans to sign up, you may be leaving a lot of money on the table by not comparing prices. Do you think SingleCare is a good option for your family? Will you be signing up to save on your next appointment?